The Jordan Spieth Family Foundation Awards 2014 Holiday Gift to Honor Courage Commitment, Inc.
With a mission to train and position military veterans into becoming successful entrepreneurs, business and community leaders, Honor Courage Commitment works hard to maximize veteran talent to enable them to success. For the past three years, HCC has trained and positioned our nation's greatest assets (veterans) to thrive in the private sector by focusing on three core components: Education, Mentoring, and Community Service. The formula for success after transitioning from the military to entrepreneurship, becoming a community leader, or more marketable for employment is simple - go to school, be held accountable, and continue to serve your community. The 2014 Holiday Gift from The Jordan Spieth Family Foundation provided much needed necessities to over twenty veterans that have fallen on difficult times. These formally homeless veterans have been fortunate enough to secure apartments through veteran's programs, but had virtually no furniture and very little else. Together, with the financial support from the Jordan Spieth Family Foundation and the hard work and outreach of HCC, we were able to increase their quality of life to a more acceptable level and make their Christmas a little brighter. 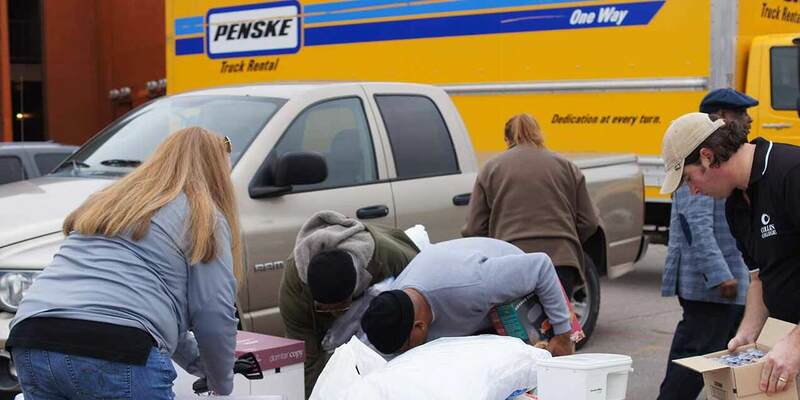 The veterans were moved in and provided household items in time to be settled by the holidays and spend Christmas 2014 in their own home. Inspired by the way the HCC team meets the specific and diverse needs of veterans and in turn works to maximize veteran talent, this model of education, mentoring and community service is right in line with the type of mission what our Foundation strives to uphold. Through Jordan’s exposure to military initiatives supported by the PGA TOUR, Jordan has dedicated a portion of his mission at the Jordan Spieth Family Foundation to supporting veteran organizations. The Foundation seeks to help organizations that provide service men and women with the resources they need to make the often-difficult transition back into civilian life. Our research has led us to find that military families face struggles of many kinds: from physical changes and emotional scars, to the inability of finding work and financial stability. The Foundation proudly provides assistance to groups supporting these military members in a variety of capacities – giving a hand up, not a hand out. It is with great honor that we support Honor Courage & Commitment in the Dallas area with gifts from The Jordan Spieth Family Foundation this holiday season.